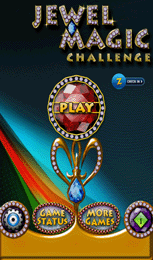 Jewel Magic Challenge is based on the classic match 3 game concept with many creative innovations which adds spice to its game play. 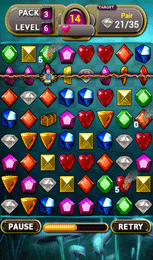 Why should we play this fantastic gem swap game well suited for Android Touch interface with colorful 3d gems? Play it and you will see the difference! 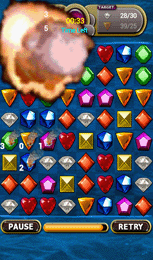 Over 100 Levels of addictive gem matching fun! 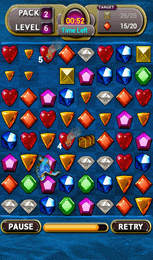 Top Gem Matching game with 14 challenging game packs absolutely free!!! Onscreen auto hints to aid gameplay. 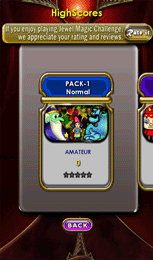 Unique Packs & level based game scores. 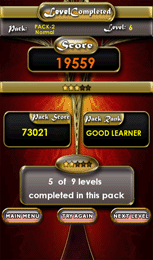 Game Status screen with all relevant game score info & ranks. Several special items with different abilities. Online leaderboards & global scores.